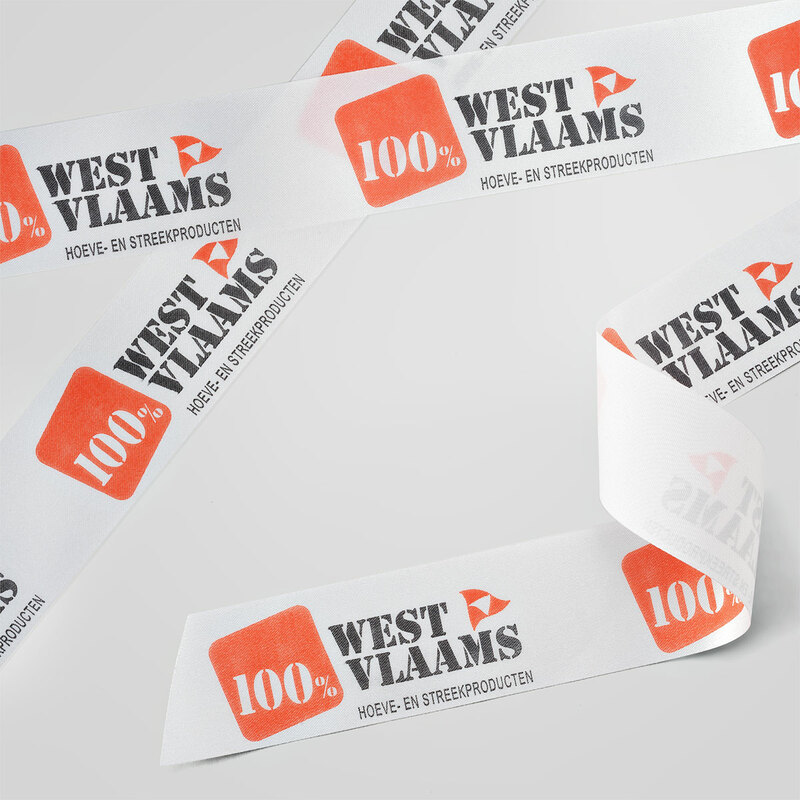 Delight your friends and family with this scrumptious gift, all made in Belgium. 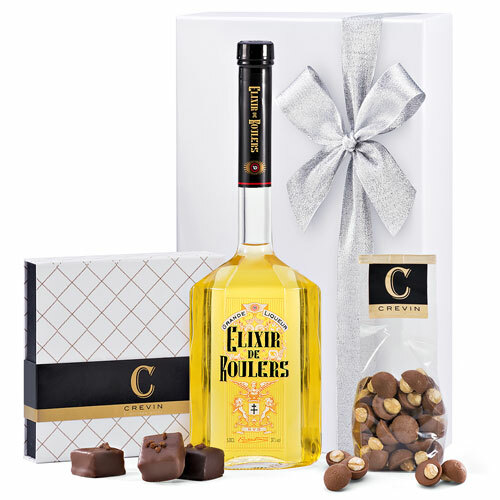 A traditional Belgian liquor is presented with gourmet chocolate-covered marshmallows and charming chocolates with hazelnuts for a sweet gift for any occasion. Since Elixir de Roulers was first created in 1871 in the distillery St-Michel in Belgium, it has been well-known as a digestive. It is created from herbs and plants that are soaked in an alcohol solution and mixed with sugar and distilled water. The elixir has an alcohol percentage of 37%, and is popular as a pure drink on the rocks, in mixed drinks, and even in desserts. 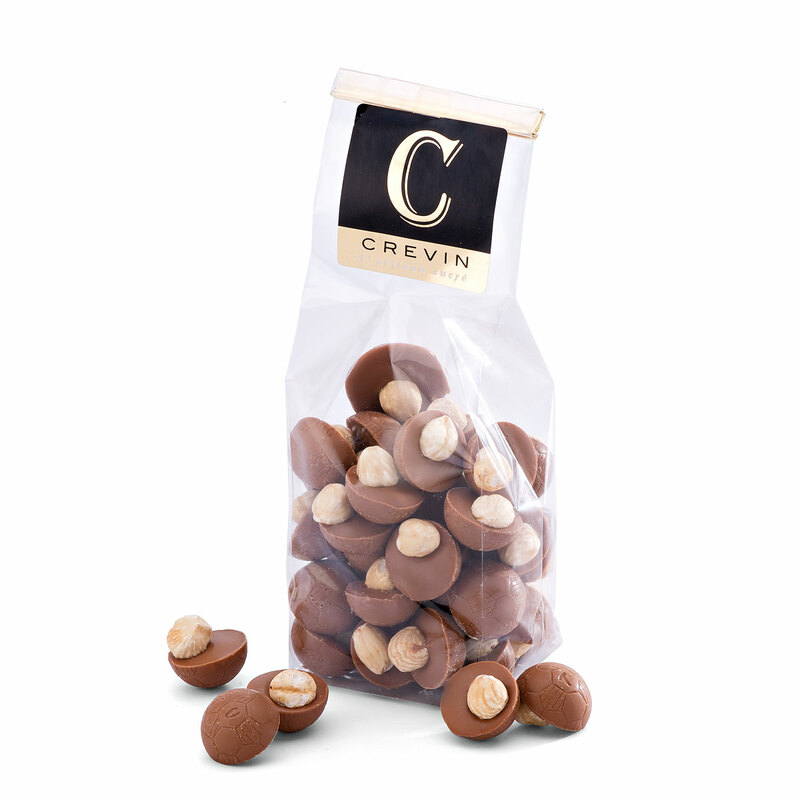 Crevin is an artisanal Belgian family company that creates handcrafted, high quality confections in small batches using only the finest ingredients. One of their signature confections is their gourmet marshmallows. 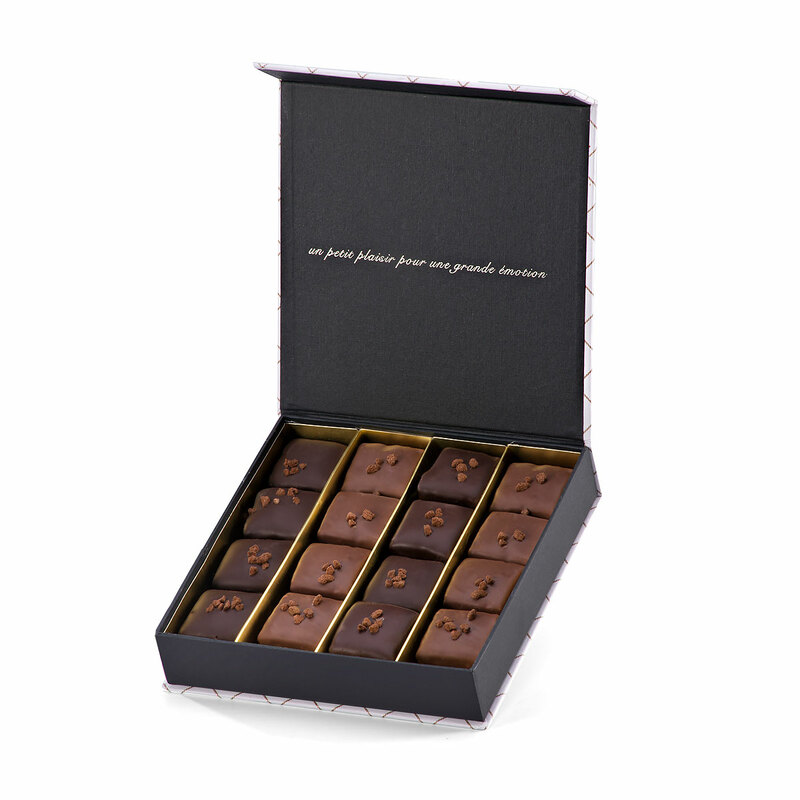 This gift features a box of irresistible coffee marshmallows coated in rich milk or dark Belgian chocolate. Another sweet treat awaits: whimsical football-shaped chocolates (that's soccer balls, for you Americans!) topped with a hazelnut. This tasty Belgian sweets & liquor sampler is ideal for birthdays, hostess gifts, to say "thank you", or just for fun! 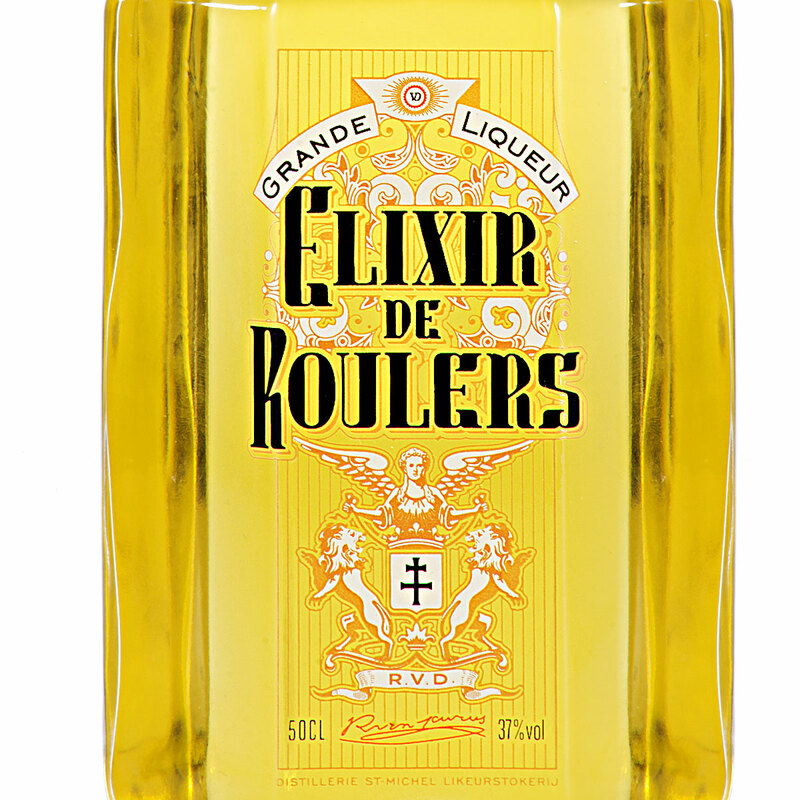 Elixir de Roulers is a liquor made from different plants and herbs and was first made in 1871 in the distillery St-Michel. This liquor is well-known for its digestive and beneficial characteristics. The herbs were initially used as medicin. When adding sugar they noticed that this medicin was easier to drink, this was how the first elixir was created. Nowadays, the herbs are soaked for some time in an alcohol solution and mixed with sugar and distilled water. The elixir has an alcohol percentage of 37%. Drink pure, on the rocks or with coffee. You can also use this drink to make cocktails, for example elixir with cognac, or use in desserts.